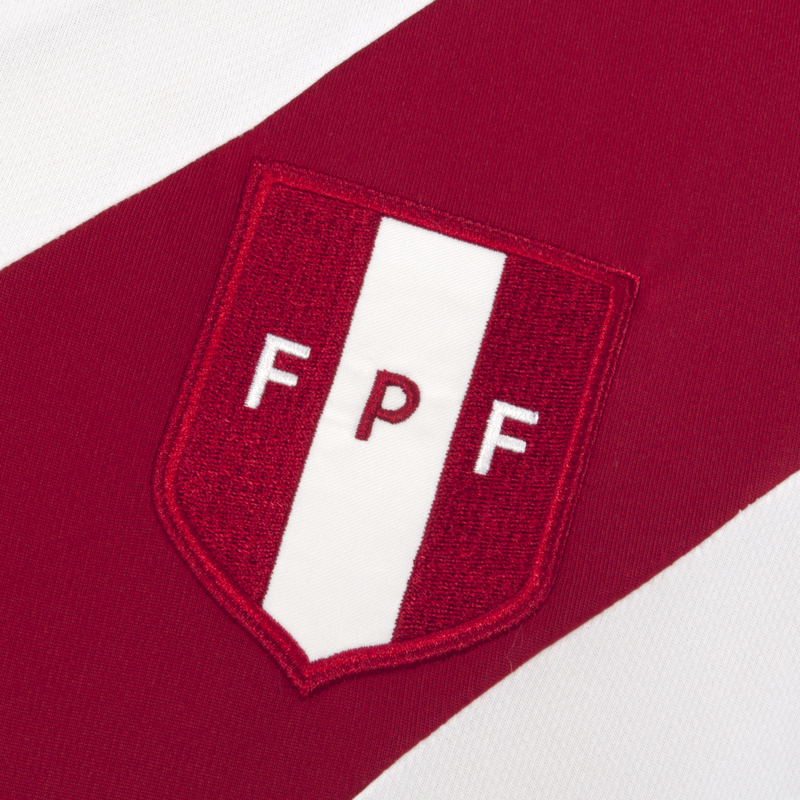 ‘Sun-kissed and set for success’: Here’s the subtly refined, sash home strip that Peru will be wearing once their ramble towards qualification for the 2014 World Cup in Brazil begins with a game against Venezuela early next month. 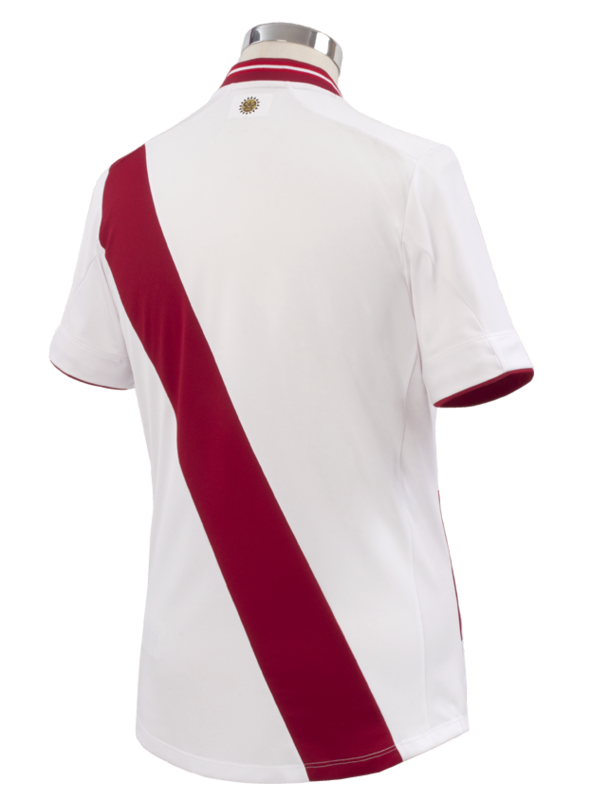 We know these sparse, simple kits that Umbro are dabbling in at the moment are a bit devisive, but – surprise, surprise – we have a hankering for Peru’s new clobber. To be honest, they had us at ‘it’s got a sash’. We friggin’ love sashs. A little too much if we’re honest. Sadly, it doesn’t look like it’s going to be made available for purchase in the UK or Europe. 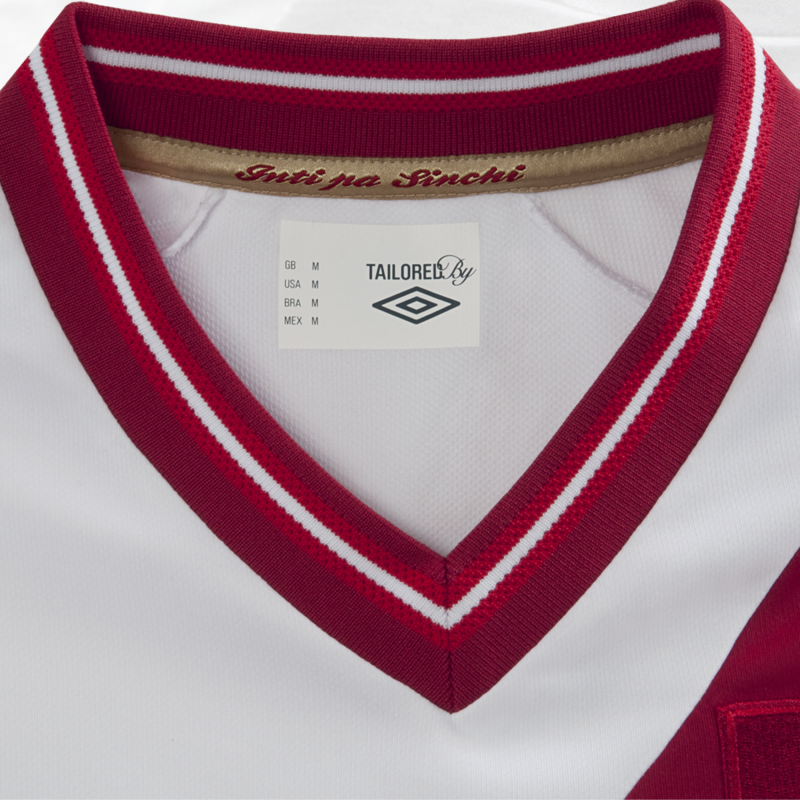 Shame, for we’d have liked one with ‘Solano’ on the back. And lo, it’s time for us to ask: Do we like Pies fans? That’s a nailer !!! white socks & shorts i hope ! ‘once their ramble towards qualification for the 2014 World Cup in Brazil begins’ … Hate to break it to you mate, but the South American qualifiers for Brazil 2014 started back in 2011! 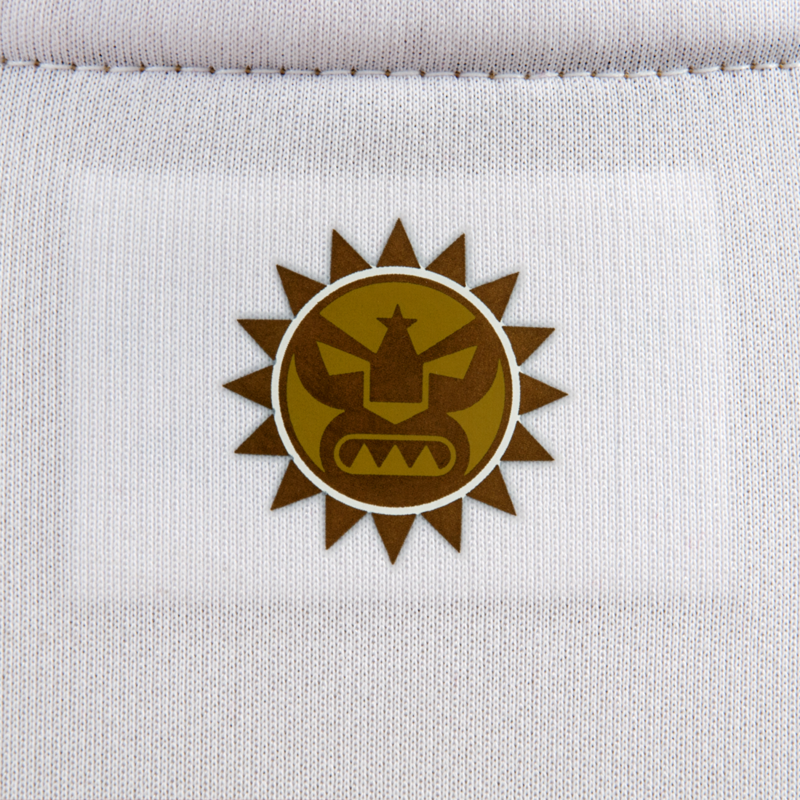 Wow…fast forward to 2012 and Google “Chinese football jerseys”. You can buy it here, good old subside. 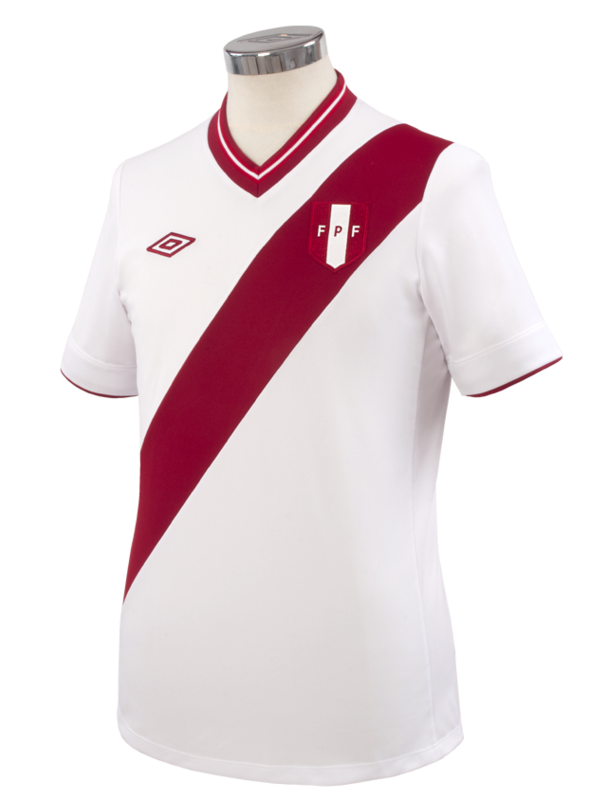 Peru have always had nice kits. Subtle and sublime. @James that is clearly not the same kit. Slightly different color on the sash and completely different collar.